More footage from the DVD of this summer's 250th anniversary reenactment. An interesting experiment to demonstrate the defensive value of the timber stockade against musket balls. 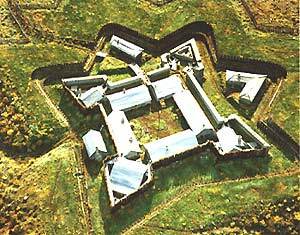 Today in 1758 this French fort surrendered to the British so I thought I'd feature a couple of top-class reconstructions to inspire you. The digital rendering is Gary Ritchie's 3D model for a project on Frontier forts. 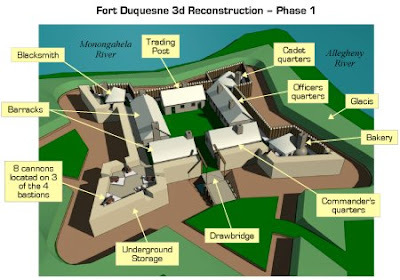 Also see here for a plan of the fort. This battle - also known as Spur's Defeat was fought this day and resulted in a victory for Native forces against the Indiana Rangers. Film by D W Griffiths and featuring Mary Pickford. Thanks to Ray on the Mocassins list for noticing this interesting range of 28mm French and Indian War miniatures. Called Drums in the Ohio Valley the range looks useful indeed. 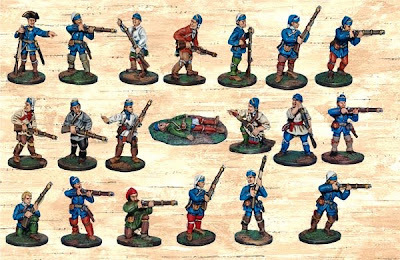 These French Marines are part of a Braddock's defeat theme which are part of the range. Interesting little movie from German tv in 1976 - see what you think. Interesting little film about a reenactment weekend held recently. Noticed one is an Indiana Mounted Ranger. 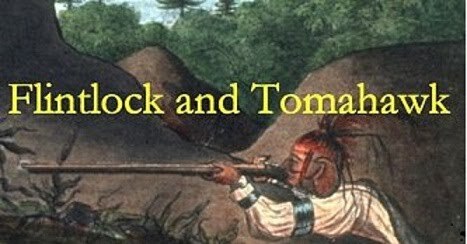 Read about the Rangers in the War of 1812 on this blog. 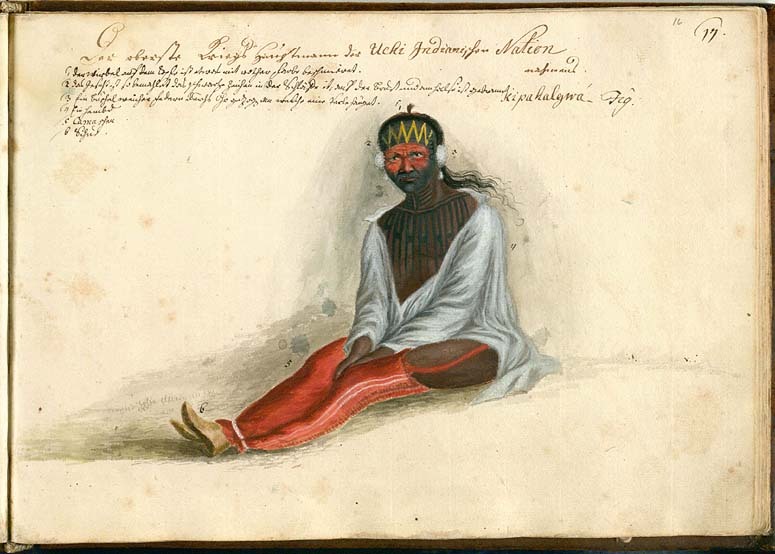 These drawings, accompanied by von Reck's writings, are important as history, science and art. As history, they give us a new and absolutely unique glimpse of Georgia as it looked when the first Europeans settled there. [...] As science, von Reck's natural history drawings represent the earliest records of several plants and animals. [...] Von Reck's drawings and writings are especially important for the light they shed on Indian life. The drawings show in detail their costumes and equipment, houses and activities. [...] As art, von Reck's drawings are as fresh, intimate and alive on the paper as the day they were drawn." 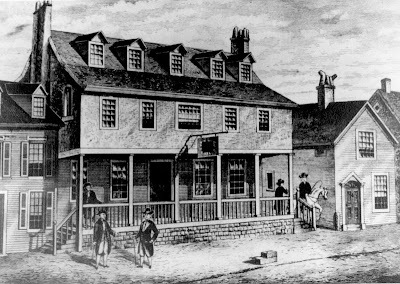 Today in 1775 the US Marine Corps was formed with recruitment centring on this historic tavern in Philadelphia. This tavern was the starting place for many organisations - the Pennsylvania Militia was raised from here in the Seven Years War and the first Masonic meeting took place here. It burnt to the ground in 1781. Toy soldiers of the French and Indian war. Fought today in 1811. Wiki article. Below is an interesting visit to the site and a perspective on events. The first 3 packs of Huron will be accompanied by our first pack of rangers when they are released very soon. This page of photos is great. A mixture of manufacturers create an interesting set up. Well done.